Corruption is one of the most significant problems we are facing right now. It’s rooted deep in the political and bureaucratic institutions. The world’s wealthiest people evade near about $ 2 trillion of taxes every year. Shocked? Yes, this is how big the monster is. Slowly eating out and making economies hollow. The release of Panama Papers in 2015 opened up a can of worms. A large 214,448 entities from over 50 countries did tax evasion. The statistic speaks the gravity of the problem and how less the governments are doing to clean it up. Not to mention, correspondingly technologies are disrupting our lives. The digital citizens today know where and why the corruption exists. They are expecting quality, speed, and integrity in the governance. For better services and accountability, the governments worldwide now must realize the need to incorporate modern technology. One such promising technology on the cards is Blockchain application development. It’s a decentralized ledger-based system that is immutable to hacks. Authenticating the identity of individuals and corporations is a must in today’s time. Identity theft leads to fraud. To prevent money laundering, there is a need for a digital identity scheme — a platform that stores personal information on a ledger based network. Blockchain technology solutions in terms of smart contract development can prove instrumental in this direction. Unregistered lands and properties are a significant source of money laundering. With blockchain development services, governments worldwide can create immutable title systems. It will help in rooting out frauds on a large scale. Registering companies on a decentralized network will also be a useful step in this direction. It will assist in ascertaining a company’s beneficial owners. Additionally, the financial regulators can have effective oversight. Many countries like Ukraine, Ghana, and Georgia have started working on it. Corruption is rampant in high-risk transactions. Public contracts, cash transfers, aid funds, etc. are prone to money laundering. A recent report by the World Bank suggests that businesses and individuals pay $1.5 trillion in bribes every year. Staggering, doesn’t it? Corresponding to 2% of global GDP, the problem is humongous. Blockchain with its smart contract development ability can help counteract money laundering. The advanced analytics will be instrumental in detecting phantom vendors, price rigging and fixing bids. Hire the best Blockchain Application Development Company in India! 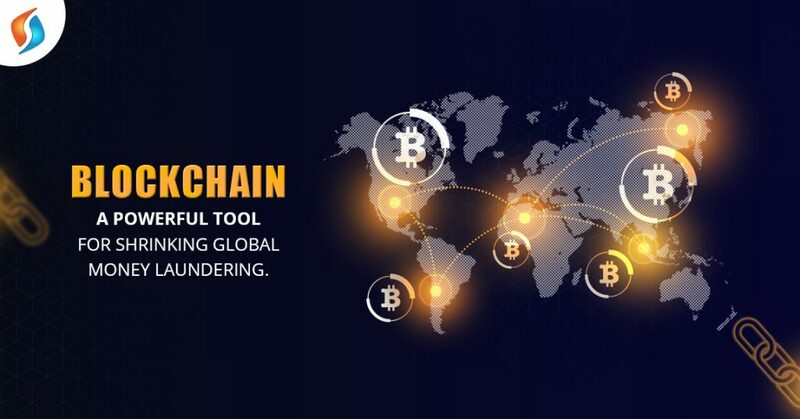 As can be seen, blockchain application development holds immense potential to check corruption. Maintaining integrity in the public sector is a serious issue that needs redressal. The governments worldwide must work on eradicating money laundering on a larger scale. We at Signity Solutions have years of experience in providing blockchain development services. Our workforce comprises world-class blockchain developers. Therefore, if you also wish to make your transactions secure, we are there to help you with our best blockchain developers in India. Feel free to reach us, and we will revert at the earliest.